People like the classics. Architecture, music, cars, they are all pretty cool. The only problem is that vintage style often means giving up some of the modern amenities. In merging the two sides of the equation, Bell has created a timeless helmet with modern advancements in the new Custom 500. For Fall 2014, they will be releasing three new graphics for this fan favorite. 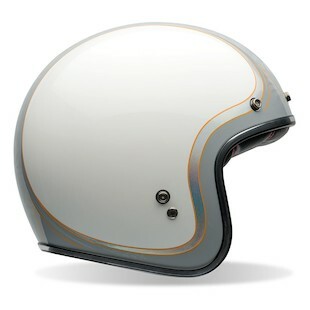 First on the list is the new Bell Custom 500 RSD Check It Helmet. 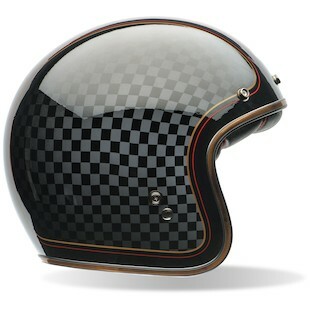 Designed with the signature style of one of the most preeminent builders in the contemporary game, the RSD Check It helmet features a wavy, shaded checkerboard pattern throughout that gives the feeling of fluid motion even while standing still. The subtle pattern and desaturated colors allow this helmet to differentiate itself without being too loud. Also new to the lineup is the Bell Custom 500 Head Case Cue Ball Helmet. As the name would suggest, this lid draws heavily from its brethren of billiards fame and is ready to break through and knock other vintage helmets off of the table. Clean and uncluttered, the Head Case Cue Ball helmet would be stylish in any era. 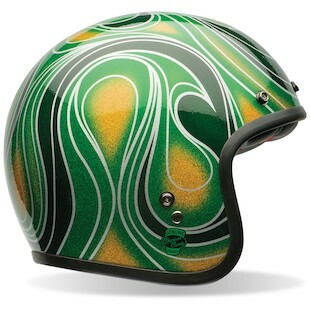 On the other side of the equation is the new Bell Custom 500 Chemical Candy Mean Green Helmet. This helmet bursts on the scene with color and flash for days! There is no mistaking this throwback for the ages as multiple shades of Candy Green swirl together in a lively pattern that conveys electric intensity. If you are looking to reach back in time to an era of simple individuality, Bell has designed the open-face helmet for you. With these new colorways in the mix for the Bell 2015 Collection, the Custom 500 series will continue to offer the best retro style combined with modern ingenuity.